9Electric have premiered a new video for their song “The Light.” This track features Carla Harvey (Butcher Babies) and it will appear on the band’s new album “Megalith” (out March 29). Carla Harvey (Butcher Babies) and Charlie Benante (Anthrax) have officially gone public with their relationship. You can see some posts from them below. According to Blabbermouth, the couple have been together for at least three years. 9Electric have released a new song titled “The Light.” This track features Carla Harvey (Butcher Babies) and it will appear on the band’s new album “Megalith” (out March 29). Stan Lee , like so many of us , was a kind of surrogate parent for a lot of us misguided juveniles during the silver age of comics . He was a visionary and a pioneer . I owe a lot to him for personally shaping my childhood fantasy worlds , my appreciation for art on all levels , and for teaching me humanness and humility through his wonderfully insightful stories . He was one in a million . He will be missed . Long Live FOOM ! Long Live Stan Lee ! stan lee , you will be missed. Heartbroken! !😭😭😭you can imagine how important Stan was to a kid like me, whose imaginary best friend was the HULK. I adored this man. Always so kind. Thank you for the inspiration, Stan Lee. Just got news that Stan Lee has died. Rest In The Power Cosmic ! Oh man, RIP Stan Lee. Dammit. 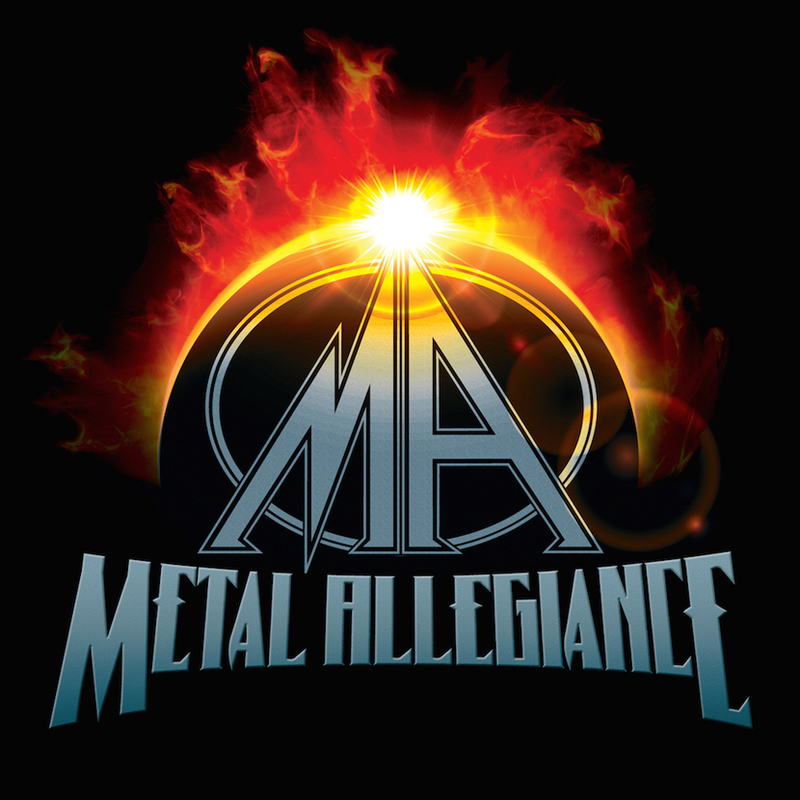 Metal Allegiance, the band featuring core members David Ellefson (Megadeth), Mike Portnoy (The Winery Dog, etc. ), Alex Skolnick (Testament), and Mark Menghi, performed their special “fallen heroes” show at City National Grove in Anaheim, CA yesterday (January 20), and the whole thing was streamed via Loudwire. Guest musicians featured at the event include: Mike Inez (Alice In Chains), Richie Faulkner (Judas Priest), Vinny Appice (ex-Black Sabbath, etc. ), Mikkey Dee (Scorpions, Motörhead), Eddie Hermida (Suicide Silence), Carla Harvey (Butcher Babies), Arejay Hale (Halestorm), Charlie Benante (Anthrax), Chuck Billy (Testament), Phil Demmel (Machine Head), Gary Holt (Slayer, Exodus), Chris Jericho (Fozzy), Mark Osegueda (Death Angel), and Billy Sheehan (The Winery Dogs, etc.). As previously announced, Metal Allegiance, the band featuring core members David Ellefson (Megadeth), Mike Portnoy (The Winery Dog, etc. ), Alex Skolnick (Testament), and Mark Menghi, will be playing a special “fallen heroes” show at City National Grove in Anaheim, CA tomorrow (January 20), and now more artists have been added to the event. The latest round of artists added to the event include: Mike Inez (Alice In Chains), Richie Faulkner (Judas Priest), and Vinny Appice (ex-Black Sabbath, etc.). Previously announced artists include: Mikkey Dee (Scorpions, Motörhead), Eddie Hermida (Suicide Silence), Carla Harvey (Butcher Babies), Arejay Hale (Halestorm), Charlie Benante (Anthrax), Chuck Billy (Testament), Phil Demmel (Machine Head), Gary Holt (Slayer, Exodus), Chris Jericho (Fozzy), Mark Osegueda (Death Angel), and Billy Sheehan (The Winery Dogs, etc.). There will also be special sets from Mart Friedman (ex-Megadeth), Gus G. (Firewind, etc. ), and Martyrd. As previously announced, Metal Allegiance, the band featuring core members David Ellefson (Megadeth), Mike Portnoy (The Winery Dog, etc. ), Alex Skolnick (Testament), and Mark Menghi, will be playing a special “fallen heroes” show at City National Grove in Anaheim, CA on January 20, and now more artists have been added to the event. The latest round of artists added to the event include: Mikkey Dee (Scorpions, Motörhead), Eddie Hermida (Suicide Silence), Carla Harvey (Butcher Babies), and Arejay Hale (Halestorm). Previously announced artists include: Charlie Benante (Anthrax), Chuck Billy (Testament, Phil Demmel (Machine Head), Gary Holt (Slayer, Exodus), Chris Jericho (Fozzy), Mark Osegueda (Death Angel), and Billy Sheehan (The Winery Dogs, etc.). There will also be special sets from Mart Friedman (ex-Megadeth), Gus G. (Firewind, etc. ), and Martyrd.